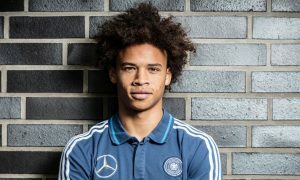 Potentially big news from Germany tonight with newspaper Bild reporting that City are preparing a formal bid of €55m (£40.5m) for Schalke wunderkind Leroy Sané. City’s interest in the 19-year-old, considered one of Germany’s greatest upcoming talents, was revealed the other day by The Guardian. Schalke GM Horst Heldt was quick to respond, saying even City didn’t have enough money to buy Sané. The Blues may be about to put Heldt’s boast to the test and Bild believe a €55m offer will make Die Königsblauen seriously consider selling the latest jewel from their famed academy. If this deal went through at the reported price, it would make Sané the most expensive German player ever, at €55m. Mesut Özil is the currently the most expensive at €50m and would still be the most expensive in pound sterling (£42.5m in 2013).